Protect your expensive phone with your very own unique cover! Always dropping your phone, iPad or Kindle? Then make sure your grab one of our personalised covers! We have the cases to fit the following models and the prices are as little as £9! 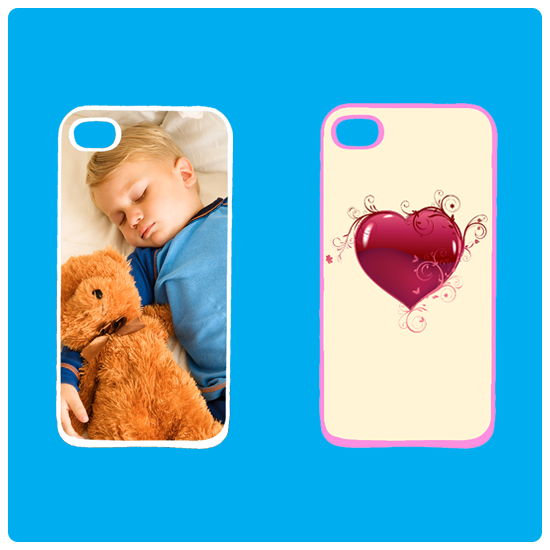 Our covers can be personalised with any picture and / or text! With our NEW online designer you can create your very own design without any limits. Family portraits, a picture of the kids (or family pet) or any other picture can be uploaded and positioned exactly where YOU want it. Once you've uploaded your image make sure you select the magnifying glass at the top of the page which will show you a realistic view of your case. Have fun designing!! Or if you prefer just email your image to info@inkthreadable.co.uk and we'll do it for you and send you a repre­sen­ta­tion. Besides being practical and protecting your expensive phones and tablets, our covers will make an excellent Mother's Day gift as would our range of personalised mugs. If you would like any more information please just Contact Us! If you know all you need to - get designing!